Absolutely thrilled with the service we received from Dan, from start to finish. Great communication and kept to schedule, finishing a large job in exceptionally good time. Fantastic workmanship and worth every good-value penny. Thank you Dan and team! 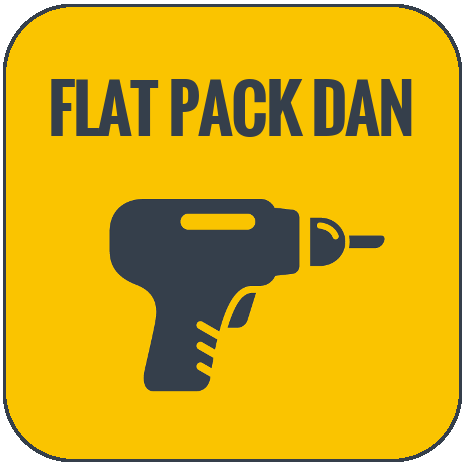 Have used Flat Pack Dan twice now, great service and would recommend to anybody. Recently built me a large bit of gym equipment and I came home to find all the rubbish neatly tidied away and it built perfectly. Will use again! Excellent and quick service From Dan and his colleague. Despite building our own IKEA furniture for years, we had got a bit stuck half way though a large IKEA PAX cupboard with a partially broken bolt and they sorted it out! Would definitely use them again Many thanks! Excellent service! We tried to erect a very large wardrobe in a very tight small room with an uneven floor! Flat pack dan came and saved the day!! It did not cost the customer ANY extra either! So everyone was happy! Flatpack Dan is great, I have slipped a disc in my back just after purchasing a new double wardrobe from IKEA. The speed that it went up was phenomenal and the quality of the work amazing. Really neat and tidy work and asks to check positioning along every stage of the build. Also helped to reposition the bed with my wife as I was unable to help. Stunned! Bought a nice TV unit with LED lights - no problem for Flatpack Dan. What a brilliant service, clean, tidy, super efficient at contacting us. Would recommend to anyone looking for help or just looking for a great service, especially if you are too busy to do it or like me, just couldn't. Paul was terrific. Dan and Karla arrived early. Hooray! 1hr 30mins later they had assembled two king size beds, one of them without instructions included. No mess, no fuss. packaging neatly folded or bagged. When you've just moved house and the place is in chaos it's one less thing to worry about. I'll be calling them back for the wardrobes. Arrived to assemble a fair amount of new furniture today for us; arrived promptly, and barely stopped until the work was complete! Highly recommend the team - they were brilliant, and it took the stress of putting the furniture together off of our plate whilst we were also trying to move our belongings into our new home! Would use again in an instant! Dan and his team were available at short notice and did a fantastic job. They arrived early and quickly built a flat full of furniture in no time. The service was very friendly and professional. I thoroughly recommend using this company. Flat pack Dan and his team provided us with an excellent service, had a mammoth task ahead,putting together our ikea pax wardrobe, plus a second wardrobe a bookcase and a table and 8 chairs.Everything thing was tackled with a smile.Would highly recommend them to friends and family.Thank you Dan and his team. Very grateful to Paul for sterling work on a particularly large wardrobe in a small room. All work carried out with good humour and efficiency, many thanks! Lovely service! Friendly, efficient and our bike shed looks perfect. The team even popped something underneath it to sort out the slight lean on our lawn, and improvised with some of their own wood when they realised that we had been sent some of the wrong parts. All in all, super impressed and we will definitely be calling on the team for their services again. An excellent highly efficient service run impeccably. Can't recommend it highly enough. Great value for peace of mind. I have just had flat pack Dan assist me again today. I collected a piece of furniture from the Range ( The wrong colour had arrived previously) Flat Pack Dan assembled it in his own time today and called me to collect once completed. Brilliant. It left me free to do other things. Polite, courteous and punctual. It has to be a five out of five and a big THANK YOU from Khristina! These guys did a great job. I purchased a very expensive piece of furniture that frankly, I didn't want to mess up by doing myself, they were able to come round within a couple of days notice, took their time and got everything set up for me perfectly. I would definitely hire them again. I would highly recommend Flat Pack Dan! They came to my home and put together a complicated Ikea child's bunk bed swiftly and very well. The result is sturdy and immaculate. I cannot fault them and will certainly use them again in future. The staff are polite, friendly and accommodating and the price for service was reasonable considering the complexity of the job. Thanks guys for your hard work! WHAT A WONDERFUL SURPRISE TO FIND SOMEBODY TO ASSEMBLE MY FLATPACK FURNITURE ! SO REASONABLY PRICED AND SUPER EFFICIENT AND FRIENDLY TRADES MAN ... I CAN ONLY SUGGEST THAT THIS IS THE BEST SERVICE YOU COULD WISH, FOR A QUICK NO FUSS ANSWER TO YOUR FLAT PACK PROBLEMS ! Have used Flat Pack Dan each time I’ve moved house or had new furniture delivered. Always reasonably priced, punctual, great communication and reliable. Furniture is always well put together and will use again. Very pleased. Dan came within a few days to assemble some bookcases. He worked quickly and tidied up afterwards. Would use again. I would absolutely recommend Dan and co. Great service & competitively priced . Why would you even try to do it yourself? 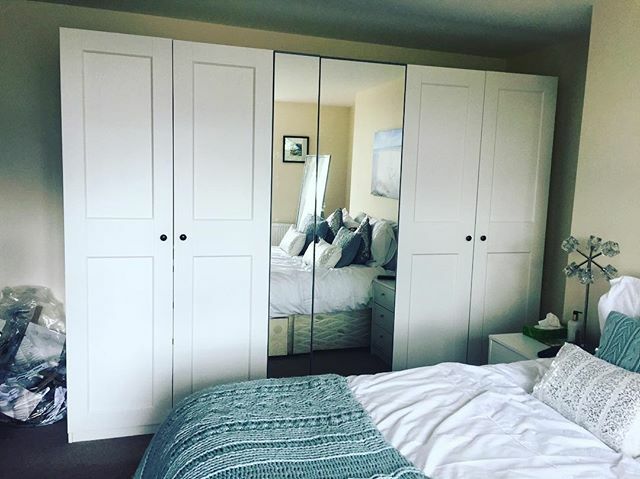 They put together 3 massive wardrobes in a flash. Really pleased! Most impressed with the speed and efficiency my request was granted. Full marks to Dan and Marc! We were very impressed, would not hesitate to recommend Dan and his team. 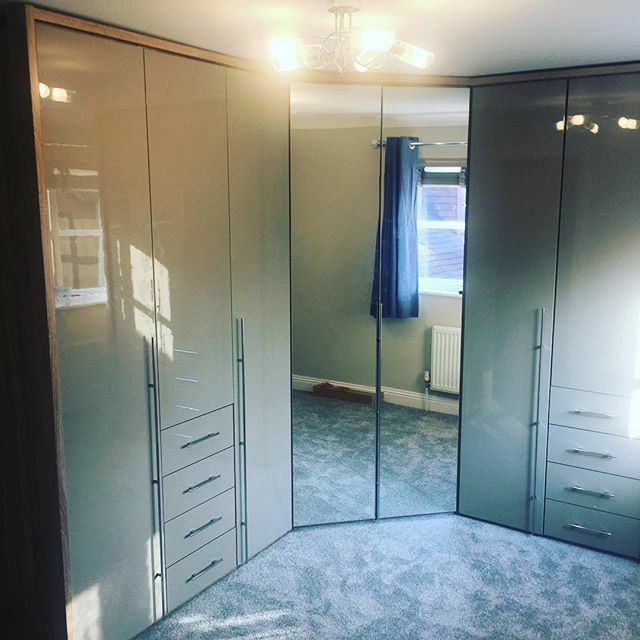 They assembled over 5 metres of wardrobes with internal fittings in less than a day. Very professional job of a high standard, very happy with the excellent service and work. Nice people too! Arrived on time and constructed the item to be built expertly and to a high standard.I was impressed in how the job was completed .Would recommend for this sort of job. Dan and Carla arrived promptly and made erecting our garden sheds look easy. They were friendly and professional in their work, very efficient and left everything very tidy. Would definitely use them again. Would highly recommend Flat Pack Dan. No hassle in arranging a suitable time and date for the job. Arrived early and finished the job with time to spare. Great service all round. Well worth the money to have two of your team assemble our table and chairs. They were quiet,professional and tidy and so quick. I will definitely use your service again as someone who has returned flat pack furniture in the past when I've seen the instructions! I'd bought a beautiful flat pack solid oak wardrobe and wondered who on earth I could get to put it together. I googled "who can put my flat pack together" and up came Flat Pack Dan. I emailed him and provided details of what I'd bought and quickly got a quote and booked a date. Flat pack Dan and Flat pack buddy arrived and put it together in the quoted time. Wonderful. I couldn't have been happier? Dan was very professional from the beginning. He had not come across our make of TV unit, so went online to check out details. It came with minimal assembly details. He was very cheerful and worked very effectively. Would not hesitate to use him again. Having bought various items from Ikea including their 'big' 2.3m high wardrobe we really needed someone to put it all together! We used Flat Pack Dan and Ashley came to do the work. He was very professional tidy and efficient. He arrived punctually and was very tidy. Would be very happy to use again when we get our next wardrobe!